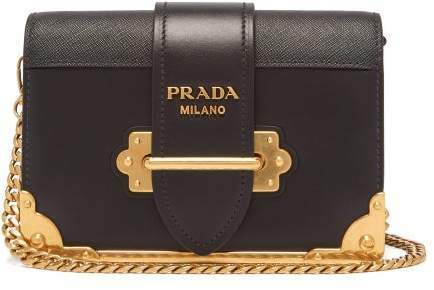 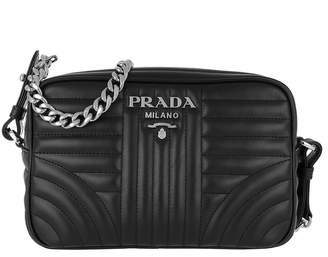 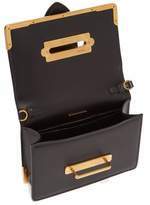 Prada - Prada's black leather Cahier cross-body bag is inspired by the art of book binding, an influence that is evidenced in the saffiano-leather spine and the antiqued gold-tone metal hardware. 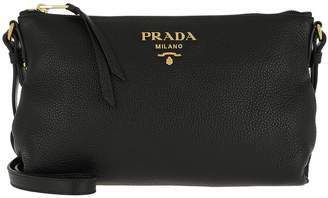 It's crafted in Italy and has a slip-though front that opens to reveal a black interior with two slip pockets. 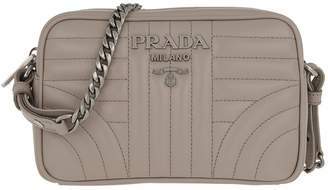 Carry it from the chain strap alongside a roll-neck sweater and checked skirt ensemble for a weekend outing.